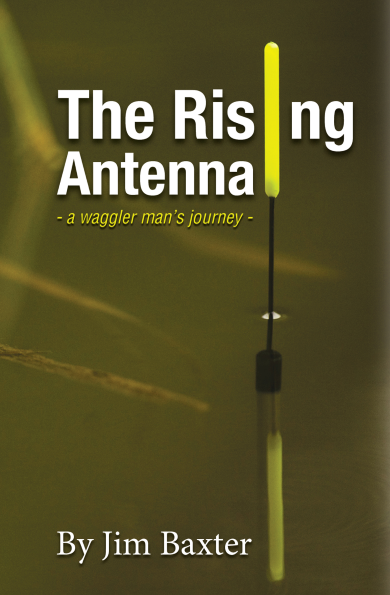 The ‘Rising Antenna’ title emerged from one of the rarer bite types that occur on a waggler float. When fishing competitions on his favourite River Witham, the author noted how the float would fully settle with only a fraction of the tip left showing on the surface, only for a fish to take the bait and rise up in the water. This lifted the bottom shot, and the float would rise slowly as a consequence. Very often such a bite produced the best roach of the day. The book consists of two halves. Chapter One starts by explaining the benefits of a day spent at the waterside. Jim then charts the history of the waggler float from humble beginnings up to when peacock quill was discovered as the ideal float material, and explaining how its name was coined back in the 1960s when a Lancastrian noted how it waggled when hanging from the line upside down. Jim’s ‘Personal Journey’ chapter describes a lifetime’s experience of fishing the waggler, and his experiments with different designs for fishing both rivers and lakes. From early struggles at gin clear Damflask Reservoir, he improved and developed his own floats that served him well in winning matches on all kinds of venues. Float-making and other techniques are also covered. Part Two introduces Jim’s contributors from the world of match angling. Included are England Internationals and River Trent aces, John Dean and Dave Thomas, along with Witham wizards Dave Ashmore and Roger Wakenshaw, former Fish’O’Mania champion Warren Martin on pellet waggler, and the young star of England World Youth squads, Matt Godfrey writing about the slider. Jim says in his introduction that ‘enthusiasm’ is the word that he believes he and his anglers promote in the book. He is fascinated by the fact that angling can never be fully mastered because every day and set of conditions is different, and the fish do not always conform to human expectations. Maybe this uncertainty is what draws them back for more day after day, season upon season. Light or heavy shotting - what is an average pattern? Floats to use for casting 15-20 yards? What makes a good waggler float? From Sheffield, a former World Youth Champion and consistent performer for England Youth teams since the age of 14. The river maestro, from Selston, Notts., who reigned supreme on the Trent in the Seventies and Eighties. From Leeds, World Champion in 1981, was Dean’s greatest rival in that golden era of the big Trent matches. From Selby, the laid-back former Barnsley Black and two-time Trent Champion who is equally at home on river roach or commercial carp. From Scunthorpe, the tidal Trent king who has taken more 20lb tidal Trent match catches on the float than anyone over the last 20 years. Two of the finest float anglers ever to grace the banks of the River Witham. A top waggler man from Rotherham. From Sheffield, another former Barnsley Black and Sheffield team angler, who has successfully switched from silver fish to catching carp on pellet waggler. From Dereham, Norfolk, a former Fish’O’Mania champion and fine exponent of the pellet waggler method. Former England Internationals with a proven track record on different versions of the waggler. The Rising Antenna also recounts Jim’s early struggles at Damflask Reservoir, before showing promise on the float that was formerly called a peacock, to it becoming the match-winning waggler it is today. The float’s development is interwoven with memories of the halcyon days with the friends and rivals he met along the journey. 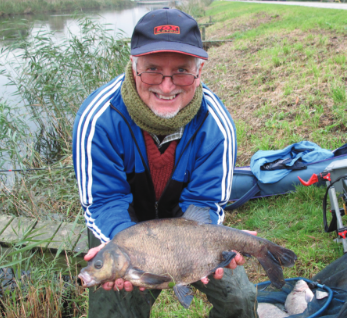 Jim’s prime hope for the book is that it might encourage younger anglers to think there is life beyond the popularity of long pole and feeder on carp lakes, and to take their imaginations to roach, chub, tench and other species. Jim got a start in angling journalism with a short column in Barnsley Chronicle newspaper, moving on to work for Angling News Services, writing for his local Sheffield Star evening paper and the now defunct Coarse Angler magazine. He later edited three monthly magazines: Angling Monthly, Bank Talk and Angling Star respectively, and the latter ran for 18 years up to 2012. Jim and wife Lynne have two daughters, Frances and Sophie, and live in South Yorkshire. Books can be purchased from Calm Productions, by phone or online at www.calmproductions.com.